Take part in a blessing ceremony at the holy springs of Tirta Empul. Visit the holy monkeys of the sacred Mt Pengsong temple. Visit a traditional Balinese healer. 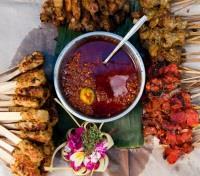 Learn to make delicious Balinese dishes during a cooking class. 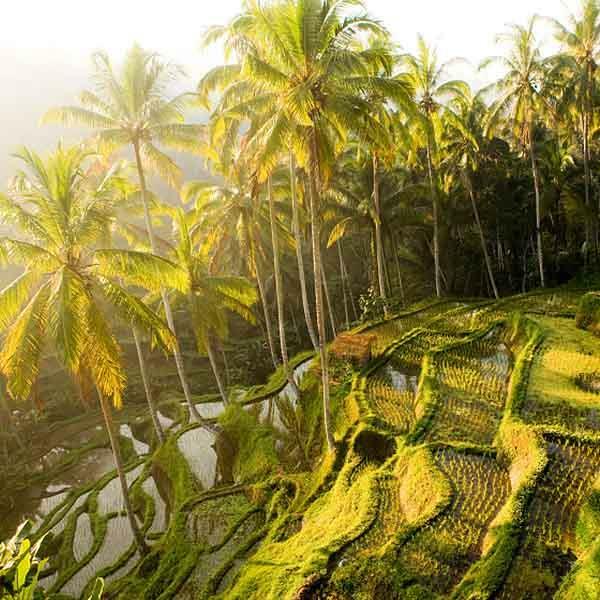 Vivid colors and vibrant wildlife will guide you around rural Bali, as you soak up both culture and countryside, while taking a path less traveled. 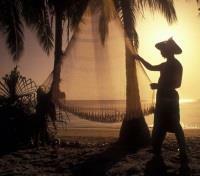 Enhance your island discovery with a visit to the idyllic neighboring island of Lombok. With a private guide, visit Besakih, known as the ‘Mother Temple’ of Bali, then visit a natural Balinese healer. Cook authentic Balinese food with a mouth-watering cooking class, and see traditional fishing villages, bat caves and hot springs. Travel by boat to Lombok where you’ll view the daily life of the local Sasak people, while en route to visit the beautiful yet deserted island of Gili Nanggu. A nature walk and a Balinese home visit will provide an authentic experience that’s bound to impress, and you'll feel right at home amongst the warm and welcoming Balinese people. Transfer from the airport to Pemuteran with a private vehicle and driver. Transfer time is approximately 3 hours and 30 minutes. The luxurious Amertha Bali Villas Beachfront Resort and Spa is blessed with a magnificent location nestled on the crystal clear waters of Pemuteran Bay with a backdrop of nine majestic mountaintops. 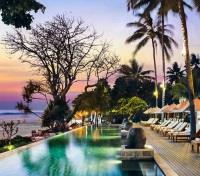 The resort hotel amenities include an outstanding oceanfront restaurant and bar, long sandy beaches, a stunning beach side pool, and a traditional Balinese spa and meditation centre. All of Amertha’s fourteen villas offer first class accommodations and amenities including private swimming pools, koi ponds and fountains, lush gardens, outdoor daybeds, and private terraces. Seven world-class dive sites lie off the Coast of Menjangan Island, a short boat ride from the main island. 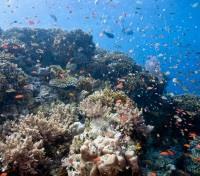 This island has one of the most spectacular coral reefs in Bali. At the local dive, you can find magnificent coral gardens and dramatic reef walls which are home to a vast range of marine life, such as sea fans, pygmy seahorses and vivid gorgonians to schools of snapper and reef sharks. Visibility is normally excellent, ranging from between 15 and 50 meters. The Menjangan’s dive base offers a comprehensive selection of wetsuits, masks, diving equipment and all other gear necessary to explore beneath the waves. Experience the beauty of the national park on horseback. The Menjangan Resort has a stable of faithful Australian horses which knows the area almost better than people do. Take in the views of the jungle and beach with the trained staff who tailor each trip to suit your riding ability. 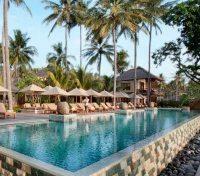 Transfer from Pemuteran to Ubud with a private vehicle and English speaking guide. Transfer time is approximately 3 hours. 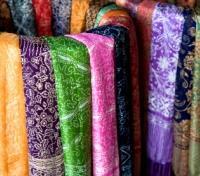 Start your cultural trip with a visit to Tohpati, which is known for batik products, with your own private English speaking guide. 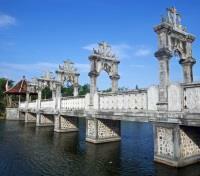 Continue to Celuk, the center of exquisite silver works and Mas, known for fine woodcarvings. 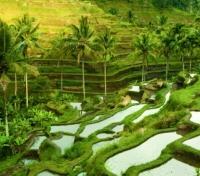 Ubud is known for its fine art galleries and is home to a score of local and foreign artists. One of them is Agung Rai Museum of Art which has an extensive collection of paintings by Balinese, Indonesian, and foreign artists in classic Balinese and contemporary styles. Afterwards, you can test your bargaining skills at the Ubud market prior to a visit to Puri Saren Agung, whose royal family ruled Ubud from the late 1800's until 1917. The Ubud - Alila Ubud is nestled on the edge of the rich green Ayung River valley in Bali's central foothills, the Alila Ubud Hotel combines exceptional location, unmatchable charm and a welcoming atmosphere. Offering panoramic views of the magical Ayung River and surrounding volcanoes, the 56 comfortable guestrooms are beautifully appointed and come with an array of modern amenities. Towering coconut pillars and a traditional thatched roof lend a bright and open feel to the brasserie-open style restaurant offering Balinese cuisine as well as fine international dishes, while soaring views can be taken in from the bar. Take a refreshing dip in the magnificent swimming pool and visit the luxurious Alila Spa that offers anatomical physiology, massage and meditation to rejuvenate your mind and body. Start today's tour with a drive in a convertible VW Kuebelwagen (VW 181) that offers the opportunity to discover Bali’s amazing scenery away from the usual tourist routes. Start driving through small back-roads via Desa, Munggu and Kaba-Kaba, to Tabanan City with a market visit. The tour continues by driving up the slope of Mount Batukaru passing Rejasa, to Tambuwaras. Visit a beautiful temple at the edge of the rainforest which is normally locked. To reach Jatiluwih, you’ll pass Desa Tegallinggah. Lunch will be at a local restaurant with a beautiful view over the rice fields. On the way back, you’ll take small roads, Desa Apuan, where you’ll make a stop at a Balinese compound. Afterwards, via Desa Tua and other small villages, return to the hotel. 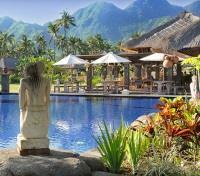 Transfer from Ubud to Candidasa with a private vehicle and English speaking guide. Transfer time is approximately 1 hour and 30 minutes. 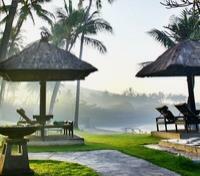 Escape the hustle and bustle and embrace the tranquility at Candi Beach Cottage in peaceful east Bali. The enchanting and intimate resort rests amid swaying palm trees within the quiet and natural environs of the beautiful Mendira Bay, Candidasa in the royal Balinese regency of Karangasem. The charming cottages, comfortable rooms, beachside restaurant, cozy bar, lobby lounge, two refreshing swimming pools, and blissful massage pavilions are set within a coconut grove garden that gently rolls on to a beautiful private white sand beach. Candi Beach Cottage is a magical destination where you can raft dramatic rivers, shop for bargains in vibrant local markets, enjoy cultural performances of Hindu dance, cycle through gently swaying fields of rice, visit ancient kingdoms and mystical water palaces, climb mighty volcanoes or dive into an exotic underwater world. Meet your guide this morning. Your driver will transfer you directly to Nongan Village to visit Shaman – Jero Mangku Gede Puspa, the traditional healers who play an important part in Bali’s culture by treating physical and mental illness. The healers remove spells and channel information from the ancestors (pre-bookings are required to visit a shaman). Then continue to Penglipuran Village and see the traditional life in the countryside. 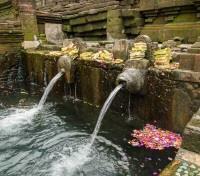 Afterward visit the holy spring of Tirta Empul, surrounded by a large shrine to honor the God Indra. There are bathing pools which are believed to have strong curative powers. Take part in a purifying blessing ceremony at Tirta Empul before you return to the hotel. This cooking school runs unique classes including an adventure off the beaten track. The students always leave with fond memories & new skills to experiment with when they get home. 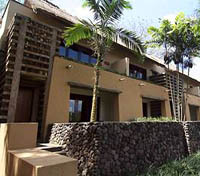 BALI ASLI is located in Gelumpang village, nestled in the foot hills of Mount Agung, Bali’s most sacred mountain and surrounded by rice fields. Students are offered cooking of authentic Balinese food using a traditional Balinese style kitchen. Cooking on wood-fired, mud brick stoves to allow the real flavours of Bali to shine. Most of the ingredients are either grown in the garden, in the neighbour’s garden or purchased from the local market. Balinese Cuisine is one of the most complex and delicious cuisines in the world, an experience you will learn all about today. This unique cuisine-type features an incredible array of spices, blended with the fresh vegetables, meat and fish. Balinese cuisine synergizes the indigenous traditions and influences from Indonesian regional cuisine, as well as Chinese and Indian methods and flavours. As the island's inhabitants are predominantly Hindu, the culinary traditions are somewhat distinct with the rest of Indonesia, where many of the festivals and religious celebrations including many speciality foods item and offerings for the local deities. Rice is consumed as a staple in Balinese cuisine and is elegant intertwined with gently cooked vegetables, meat and seafood. Popular Balinese dishes include Lawar; a meal including chopped coconut, garlic, chilli, pork or chicken, Bebek-betutu; duck stuffed with various local spices, wrapped in banana leaves and coconut husks cooked in a pit of embers, and Babi-guling also known as Celeng-guling; a spit-roasted pig stuffed with chilli, turmeric, garlic, and ginger. 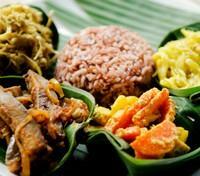 Many of these popular dishes are mixed with rice called Nasi Campur Bali or simply Nasi Bali. The Balinese Nasi Campur version of mixed rice may feature chucks of grilled tuna, fried tofu, cucumber, spinach, cubed beef, vegetable curry, and corn. Your experienced instructor will determine the dishes to be created today. Enjoy this delicious cultural experience. 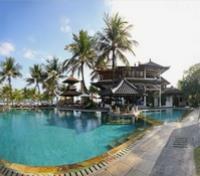 Transfer from your hotel in Bali to Padang Bai Harbor with a private vehicle and driver. From there you will take a Speed Boat to Gili and Lombok. Transfer by vehicle is approximately 1 hour and 20 minutes followed by a 1 hour and 30 minutes boat ride. Meet your driver for a pier transfer with a private vehicle and English speaking guide. Qunci Villas Hotel is 'The Boutique Hotel of Lombok', comprised of 20 units on a beautifully landscaped beachfront property with many of the units boasting an ocean view under swaying palm trees. 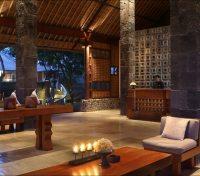 It's a tasteful mixture of modern architecture combined with the architectural style of Lombok and Bali. The complex itself is specifically designed to take full advantage of stunning views across exotic gardens out across the sparkling blue waters of the Lombok Straits. Enjoy time at leisure to explore at your own pace, or relax at your hotel. Fly from Lombok to Denpasar (Bali). Flight time is approximately 30 minutes.